Our firm is committed to protecting the rights of both public and private employees, and our Vancouver labor law attorneys will make sure that you have access to the full range of legal and procedural remedies that you deserve as an employee. Public safety officials need an advocate to represent them in case of critical incidents or other legal actions, and we have the experience to give you the representation that you need in any legal or procedural matter. The needs of the elderly have specific legal protections, and we can assist you with guardianship, health care, and estate planning issues. We can also assist in investigating situations that involve elder abuse or fraud. 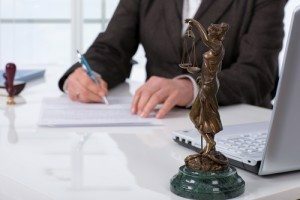 For both plaintiff and defense, we can advocate your position from the settlement phase all the way to the Supreme Court, and our Vancouver criminal defense attorneys are always prepared to litigate on your behalf. Washington State and Oregon have broad policies to allow the public to know what the government is doing. You have the right to review and even obtain copies of almost any government record. You have the right to find out what your public officials are doing, to review and confirm that public moneys are properly spent, to find out if your elected officials are spending their time on social media, writing emails to friends or actually working. All of this and more are available by way of public records requests. In making a public records request, the agency is to promptly respond to the request. Some agencies have a demonstrated practice of withholding the “juicy” bits of requests until the very last moment, stalling for months before they respond. If you need a record, or if the agency is not responding promptly, you need a lawyer. The law even provides that if you sue a government agency when they stall or withhold a record, the agency pays attorney fees, and even pays you money, because of their delay. Contact the attorneys at Northwest Legal Advocates, LLC for help with your records requests. We handle both misdemeanor and felony cases, and will present your defense aggressively to ensure that you receive a fair trial and outcome. You don’t have to suffer forever from an old criminal conviction, we will assist you in clearing and restoring your public records. We understand how the past can keep you from moving forward and will help you clear records that cause you frustration when filling out employment applications, owning a firearm, obtaining credit, renting or owning a home or other opportunities that require past disclosure on the application.